National Fire Protection Association (NFPA) code 211 recommends that all solid fuel burning systems should be inspected at least once a year. A thorough (level 1) visual inspection of your system for proper operation and safety with a final written report and estimates on any repairs needed. 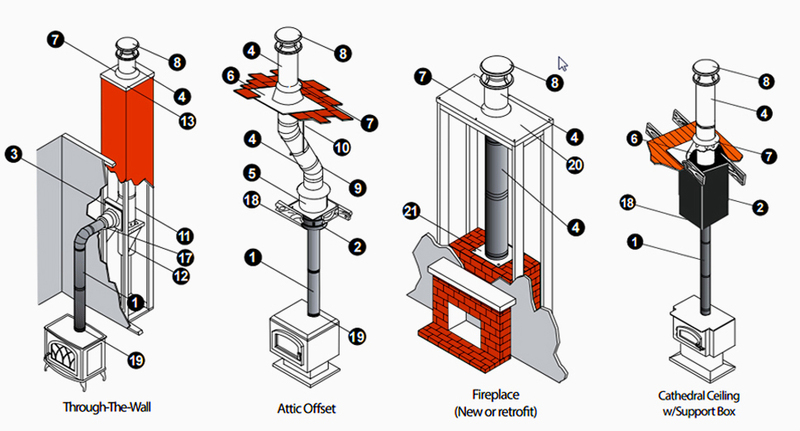 Photos, videos and notes will be all E-mailed to you in a service Report, along with any free estimates on repairs or adjustments needed with a range of options that apply to your chimney needs. Stove Firebricks get damaged overtime. If we find you need Pacifico the first 3 are on us! 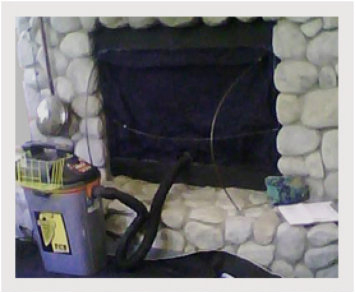 Spark arrestor is the screen that that acts a precaution to help prevent glowing embers or sparks from escaping your chimney. If yours is damaged or missing, we will provide one at no cost. Excessive soot and grime build-up on your appliance glass window makes it hard to enjoy the view. We will not only clean it, but provide advice on how to maintain it and prevent the build-up. If your stove top has lost some of its original beauty, we can touch it up with the professional hi-temp black paint we always carry. How much wood has gone through the system since last cleaning? What is the quality of the wood? Hardwood such as Oak, Walnut and Almond are much denser, provide more heat per log and burn longer and cleaner. Softwood such as Pine, Spruce and Fir are less dense, burn quicker and promote more creosote build-up than hardwood. Burn only seasoned firewood (Seasoned Softwood 6-12 months, Hardwood 1-2 years, split to thickness of 6-8 inches, stacked outdoors, off the ground, top covered, sides open for ventilation). What is the quality of your stove, fireplace or insert? It all starts with your firebox, the more outdated the less efficient it will be. Non-EPA certified appliances will usually promote quicker creosote build-up and require more maintenance.